It’s very rare that we have a weekend off during the summer months! So when we do, Brian and I try to make the most of it! This weekend consisted of lots of fun with the kids along with a few errands! The kids and I spent part of our Friday at the mall searching for an outfit for next weekend! I am totally obsessed with downward stripes and found the cutest striped off shoulder shirt! I’ll be sharing more of that one with you guys soon! Friday night was probably one of the worst nights ever with Keegan! He woke up around 2:30 a.m. and refused to go back to sleep! I don’t think that we’ve ever had a night like Friday! Even when he was a newborn! After catching up on some much needed sleep Saturday morning, we headed out for lunch! One of our favorite restaurants is Red Bowl near Triangle Town Center! Brian and I grabbed food at Red Bowl and the kids grabbed lunch at McAllister’s Deli! Next we headed to the mall to do a little window shopping and to search for an outfit for Brian’s nephew! We also stopped by Barnes and Nobles to pick up a copy of The Carolinas Magazine! 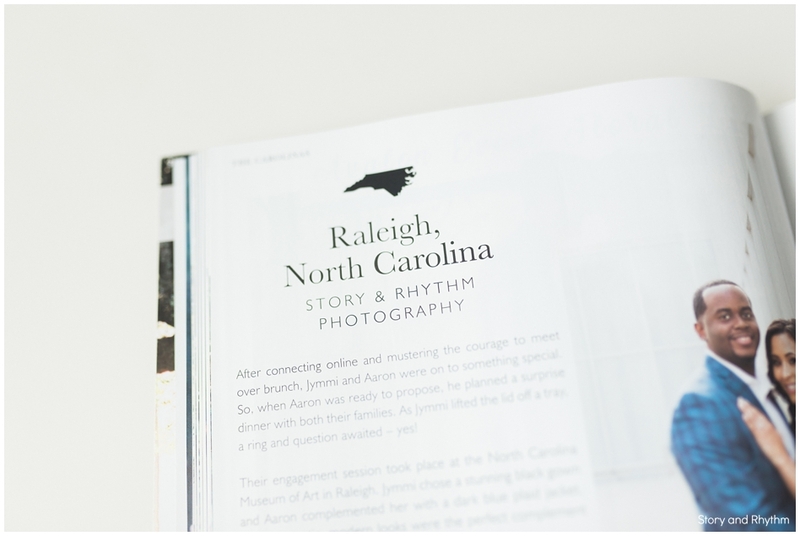 We’ve been waiting a few months to see Jymmi and Aaron’s feature and we’re so excited that it was finally in stores! 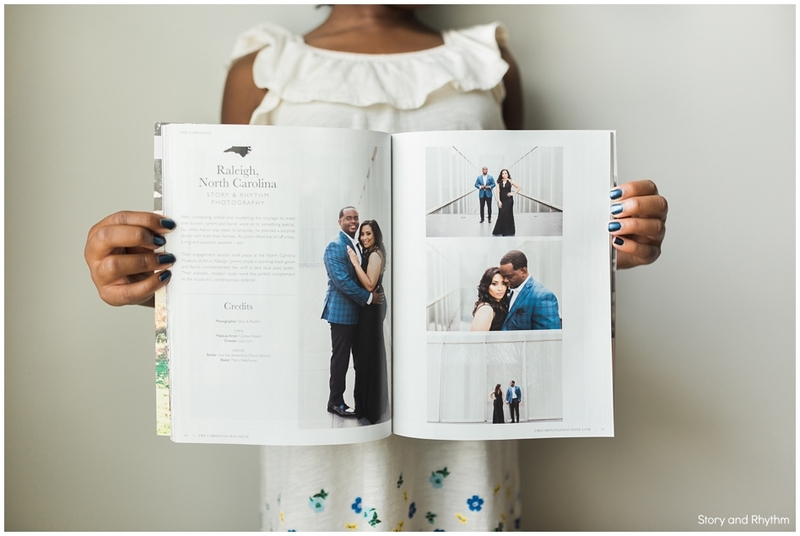 It’s always so much fun whenever one of our couples is featured! 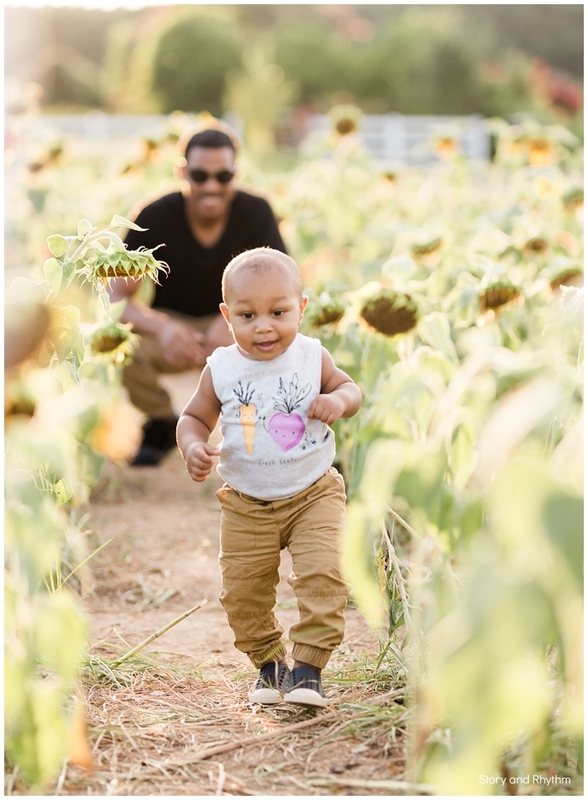 We also stopped by the sunflower field at Dorothea Dix! I have had the sunflower field on my list of must see places, but never had time to go! The sunflowers are definitely on their way out, but it was fun seeing them! We grabbed ice cream at Kilwin’s in North Hills with the kids and then headed home for the evening! Sunday was party time for Brian’s nephew and the kids! They all had a blast! Sunday is also grocery shopping day in our house! After stopping at way too many stores, we headed home to cook quesadillas and watch Power!